Andhra Pradesh's Srikakulam district, which lies on the coast of Bay of Bengal, has, in the past few years, taken pioneering measures to make itself greener and provide viable opportunities to the economically weaker sections. The district has scheduled tribes forming 6.15 per cent of its population, as per the 2011 Census of India. 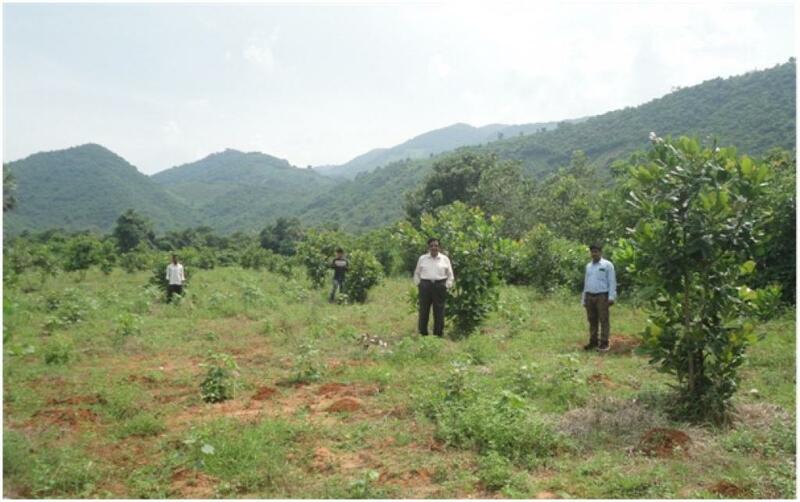 A 20-point programme was implemented in Srikakulam during 2016-17 by the forest department, District Water Management Agency (DWMA) and Integrated Tribal Development Agency (ITDA) that majorly focussed on afforestation measures. This was done under a number of central schemes. For instance, the Territorial Forest Division (TFD) raised teak, miscellaneous and medicinal plantations on 100 hectares of reserve forest area under the Compensatory Afforestation Fund Management Authority (CAMPA) and National Medicinal Plants Board (NMPB) schemes to improve biodiversity. The TFD also created casuarina and palmyrah plantations along 80 hectares of the district’s seashore under the National Afforestation Project (NAP) and the Andhra Pradesh Disaster Recovery project (APDRP) schemes to protect inland areas from the fury of natural disasters like cyclones and tsunamis. Moreover, the Social Forestry Division (SFD) developed avenue plantations under the Special Development Package (SDP) and the Mahatma Gandhi National Rural Employment Guarantee Scheme (MGNREGS) along 90 km of urban roads throughout the district and distributed 25 lakh casuarina, 13 lakh eucalyptus and 3 lakh other miscellaneous plants to farmers and government institutions. They planted shade-bearing and flowering plant species like coconut, mahogany, neem, jacaranda, gulmohar and others. The DWMA supplied about 6 lakh horticulture plants to more than 87,000 farmers in more than 38 mandals of the district. These include species like cashew, mango, lemon, coconut, curry leaf, guava, jackfruit, custard apple, sapota and teak. Cashew, coconut and mango have been supplied to farmers to augment their revenue. At the same time, other species like lemon, curry leaf, guava, jackfruit, custard apple and sapota have been supplied to individual farmers to raise homestead plantations. The DWMA has also created avenue plantations along 570 km of rural roads with shade-bearing and flowering tree species like Indian Beech, Indian Tulip, Indian Cherry, African locust bean, Indian Elm and Gulmohar. Meanwhile, the Integrated Tribal Development Agency (ITDA) is concentrating on the development of Srikakulam’s tribals through tree plantation by supplying horticulture plant species like mango and cashew, with 100 per cent subsidy for planting in 20 Micro Water Sheds (MWS) and paying Re 0.50 per plant per day for their maintenance for three years. Though this is dry land horticulture, purely depending on rain, the tribal farmers cultivate traditional crops like cotton, pigeon pea, etc, as intercrop in the plantations in order to augment their revenue. So, these steps have not only increased the tree cover, but also provided economically underprivileged people an opportunity to augment their income. Horticultural plants such as mango, cashew and coconut may start yielding after 3-4 years, while other quick growing species like curry leaf, custard apple, lemon, guava and sapotafruit within 2-3 years. This will enhance their revenue. Especially, in case of tribals, the subsidy given initially and the financial aid provided subsequently for the maintenance of plants can prove helpful. Though the district just has 12 per cent of forest cover, due to the massive tree planting activities undertaken by different state departments, the tree cover has increased considerably, enabling the area to attain ecological sustainability. The rainfall, groundwater table, and the greenery found all over the district bear testimony to this. The district enjoys an annual rainfall of 1,075 mm. The average groundwater level has risen from 7.03 m to 3.96 m in recent years. Vast stretches of paddy fields and hills covered with dense green vegetation are visible in all the directions, except the north, where the sea coast is located. The dedicated activities of various agencies to turn the district green have not just helped make the district ecologically sustainable but also provided for the economic development of the marginalised sections of the society.